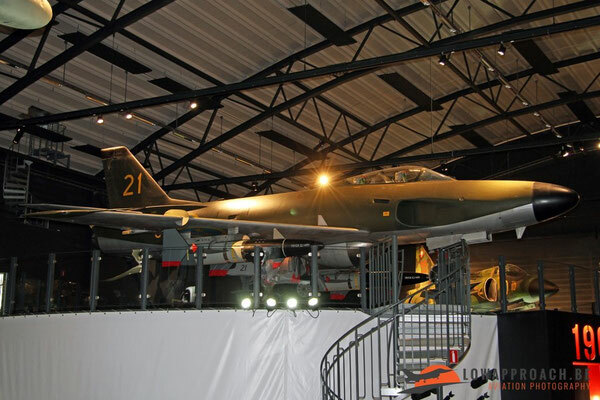 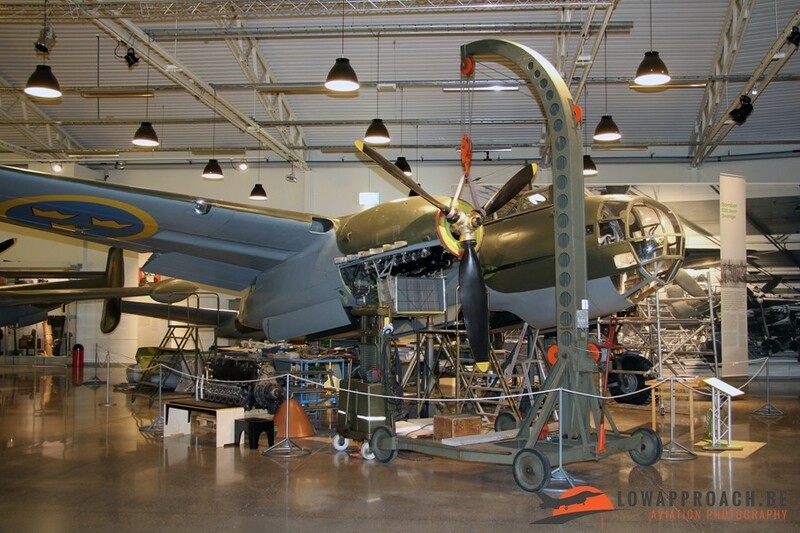 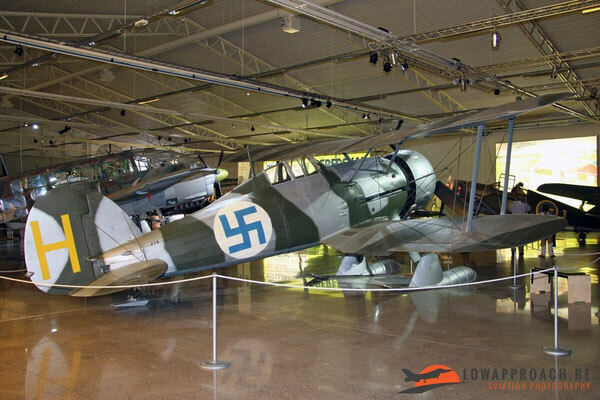 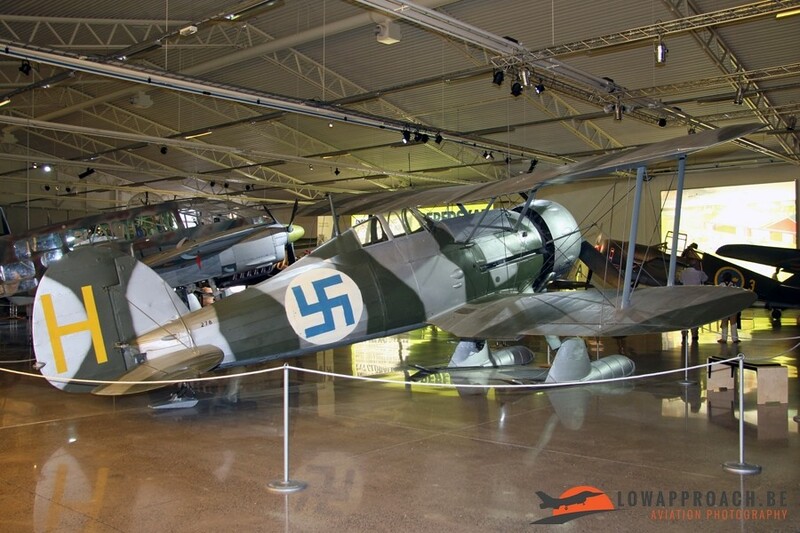 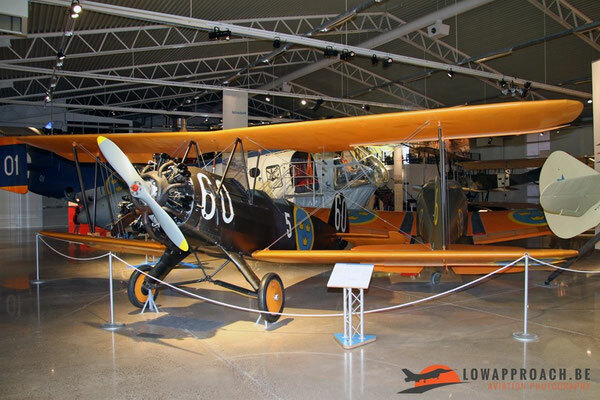 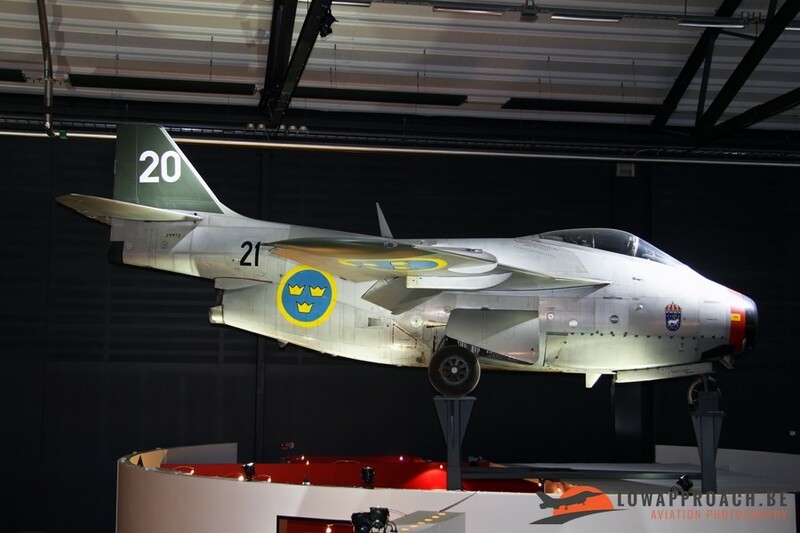 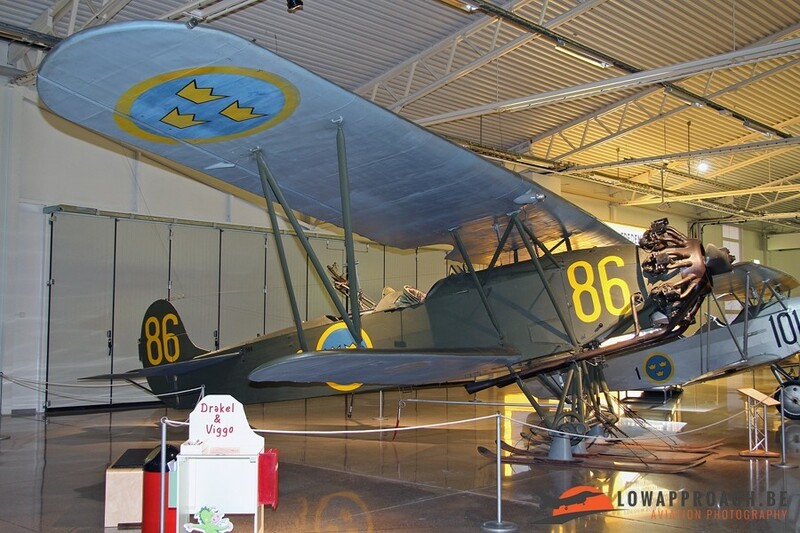 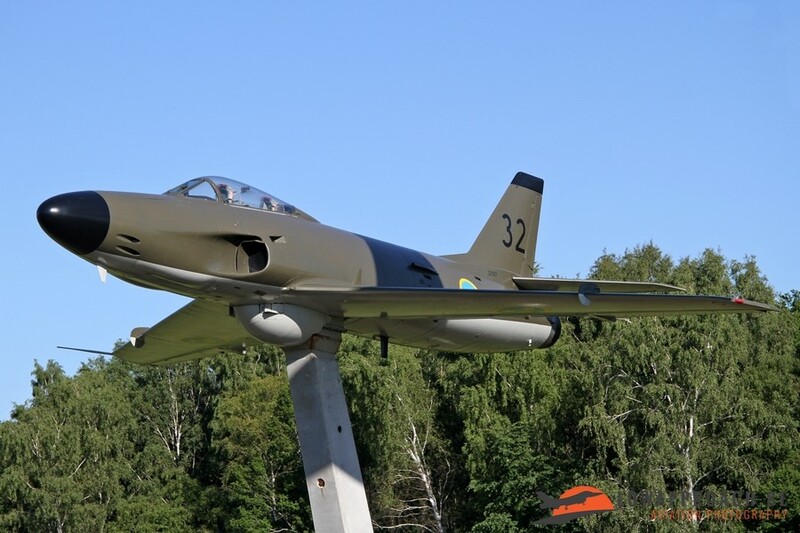 The museum of the Swedish Air Force, locally called the 'Flygvapenmuseum', is located next to Malmen Air Force Base near Linköping. 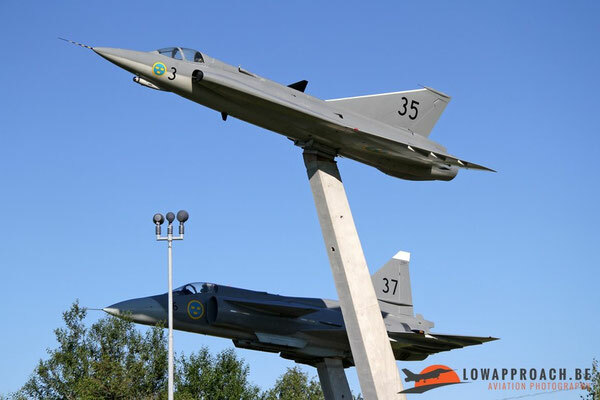 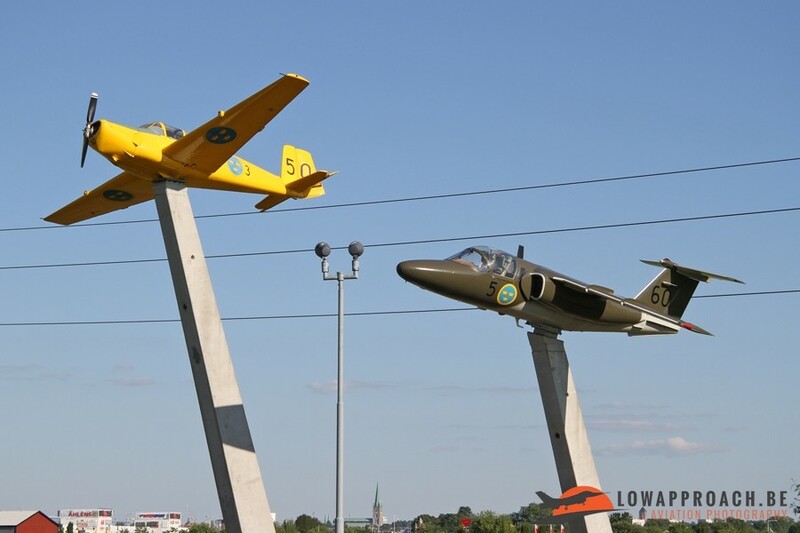 Missing one of the three motorway exists is virtually impossible as each one of them is guarded by one or more aircraft produced by Saab, whose Corporate Headquarters is also located in Linköping. Visible from the motorway are the Saab J29F Tunnan, Saab J32E Lansen, Saab J35F Draken and Saab JA37 Viggen. One of the exits is dedicated exclusively to training aircraft with a Saab Sk50, better known by its civilian designation Saab 91 Safir, and a Saab Sk60B. 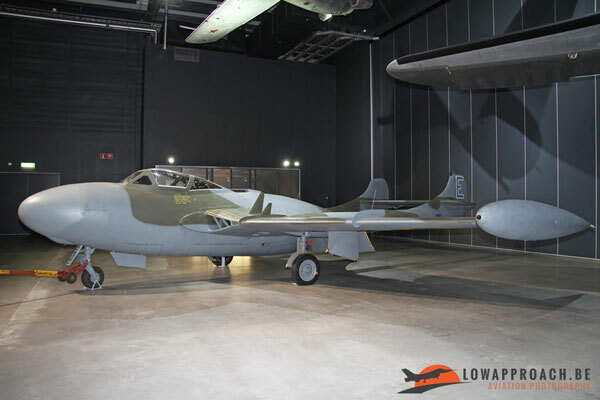 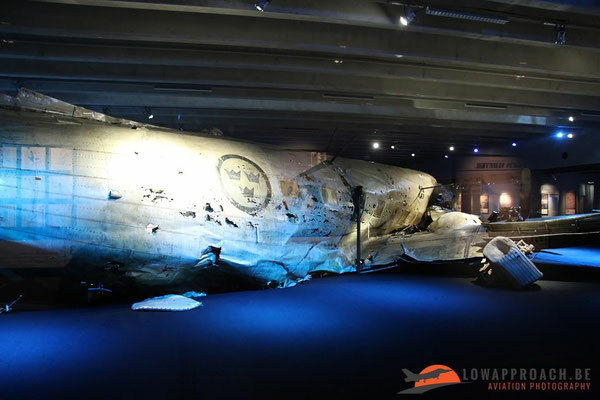 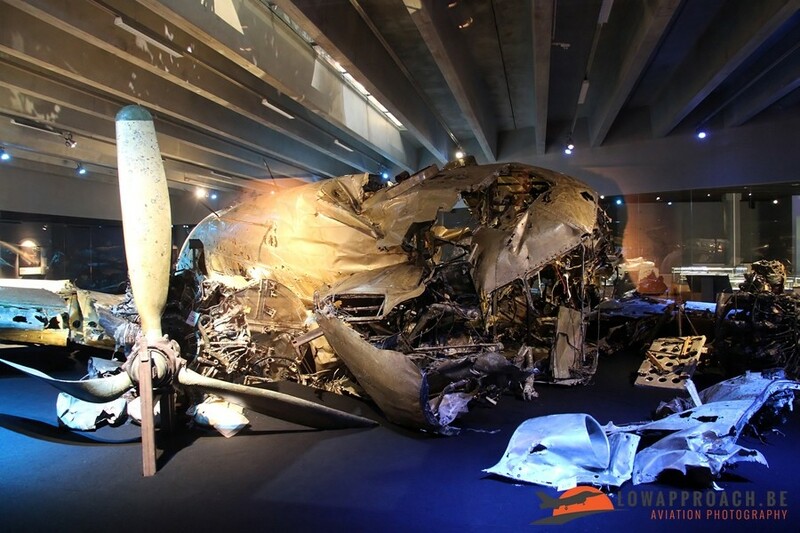 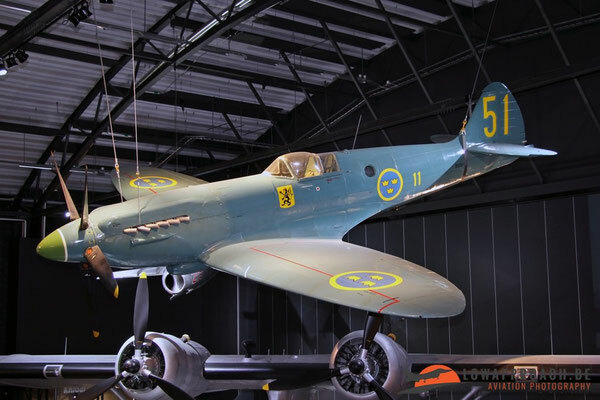 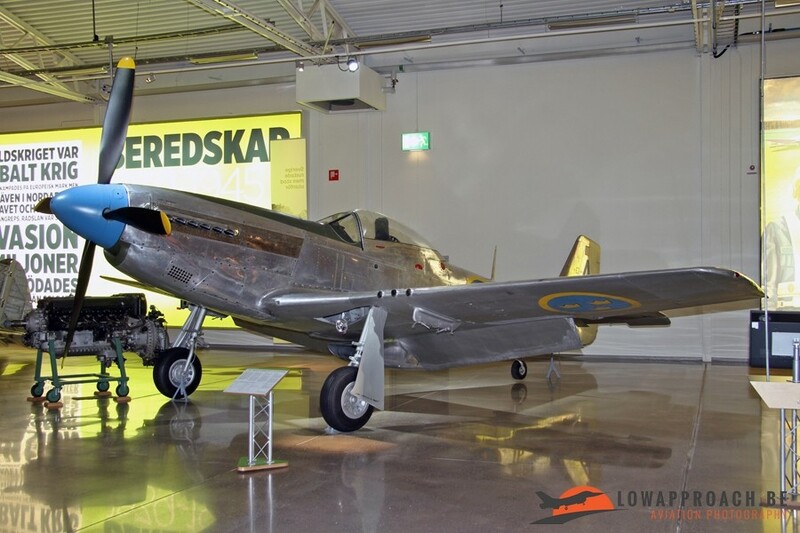 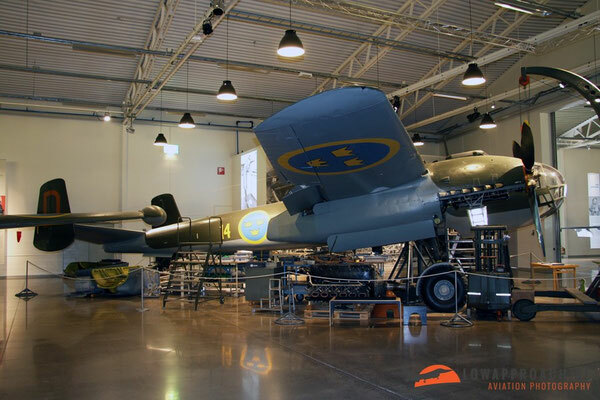 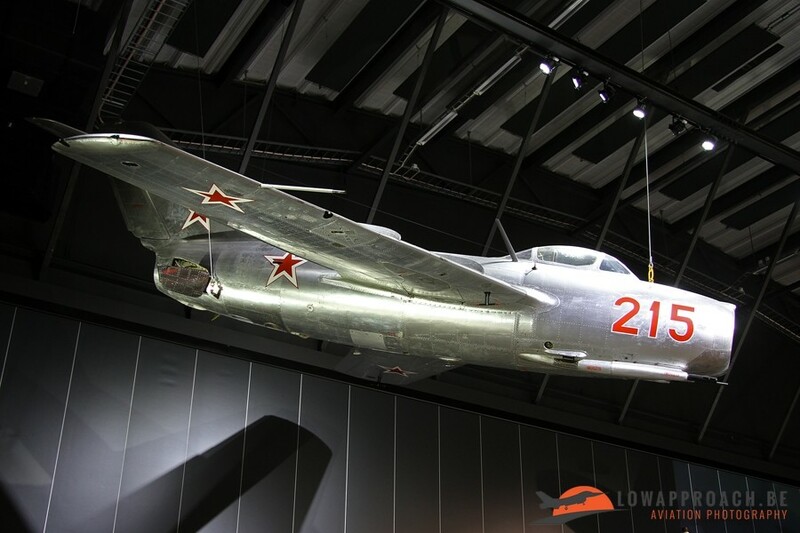 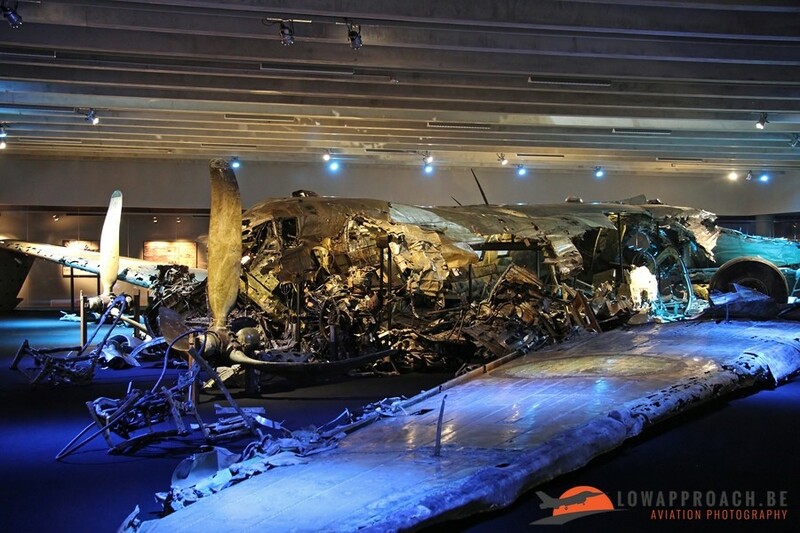 The museum itself is located in two large buildings, the first one covers the period from the early beginnings of aviation in Sweden until the end of the Second World War, the second building is dedicated to the Cold War period and the modern Swedish Air Force. 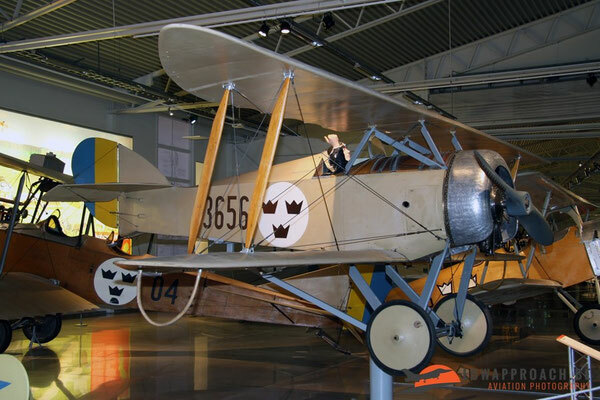 The first government owned aircraft in Sweden was a Nieuport IVG monoplane, which was acquired in 1912 from France. 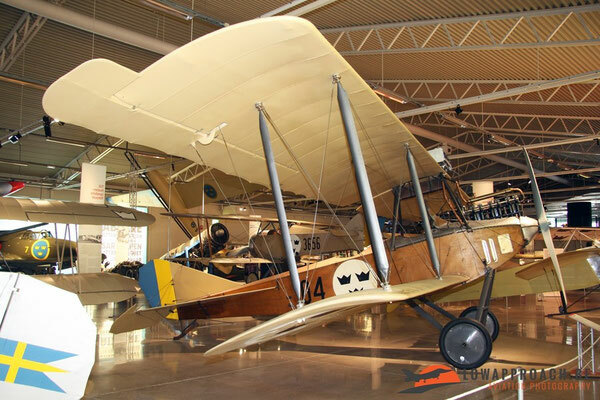 Virtually at the same time a second aircraft, a Breguet C.U 1, was acquired in France, purpose was to gain experience with both monoplane as double-decker aircraft. 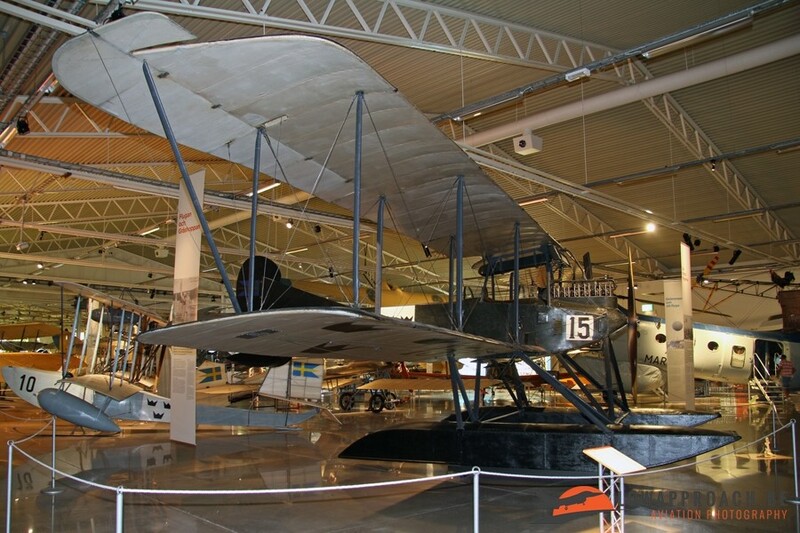 At the outbreak of the First World War, supply from aircraft from outside Sweden became problematic, so new aircraft had to be designed and build locally. 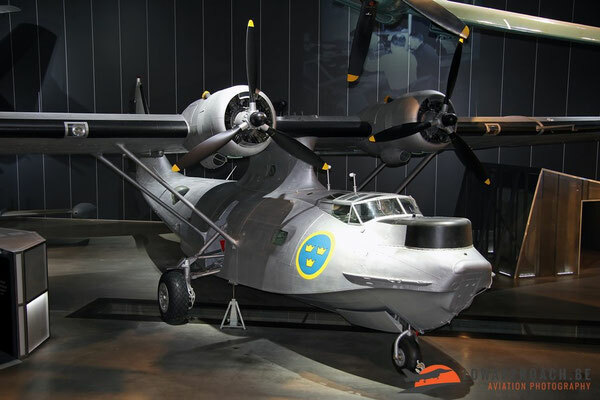 The first major order for a Swedish-designed military aircraft was for a batch of Thulin G seaplanes. Also the Swedish Navy developed an early interest in aviation and acquired a number of Donnet-Leveque C L.II seaplanes. Sometimes the luck was on the side of the Swedes. 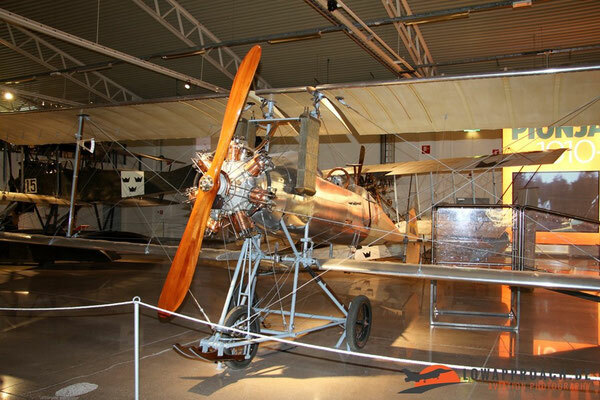 In 1914 a German pilot, Ernst Heinkel, was on his way to Russia and damaged his aircraft upon landing in Stockholm on a refuelling stopover. 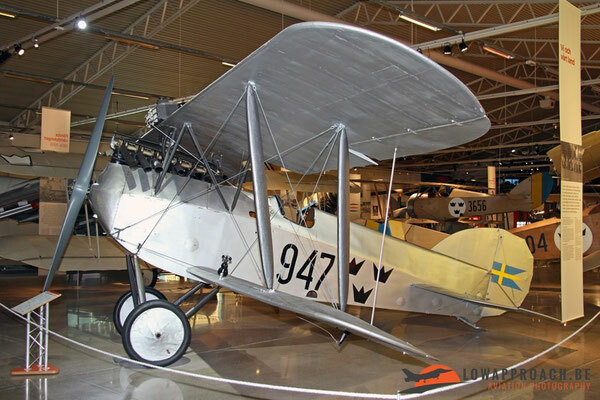 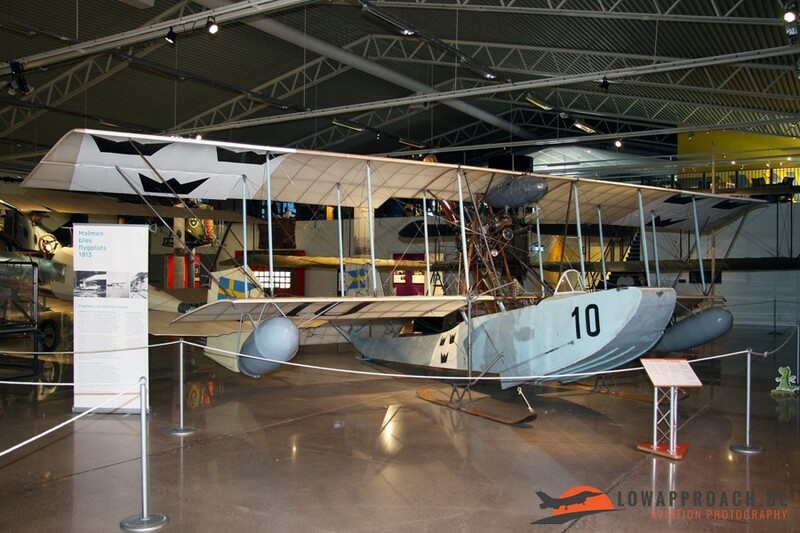 After the outbreak of WWI the aircraft was impounded and a few locally build examples of the Albatross B.IIs joined the Swedish military. After the end of WWI the Swedish Air Force acquired several types from within Europe, such as the Austrian Phönix 122 D.II and the German Heinkel HD.35, but also continued to buy Swedish designs such as the CFM Ö1 Tummelisa. 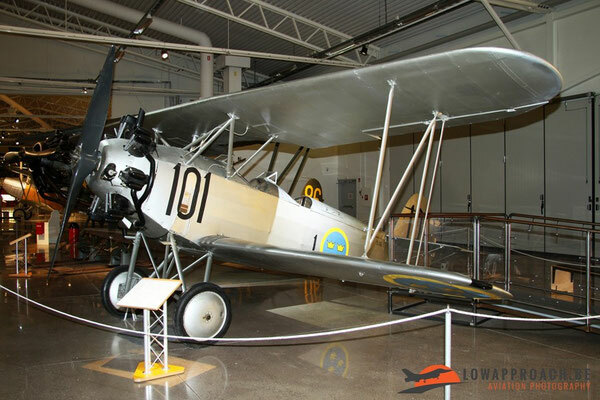 In the 1920s and 1930s this way of working continued and Sweden continued to acquire aircraft from various countries. 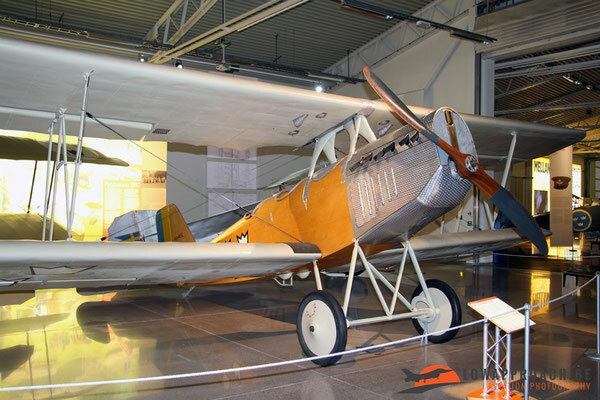 The Netherlands supplied the Fokker C.VE, which was mainly used in the reconnaissance role, as it was considered useless as a fighter. 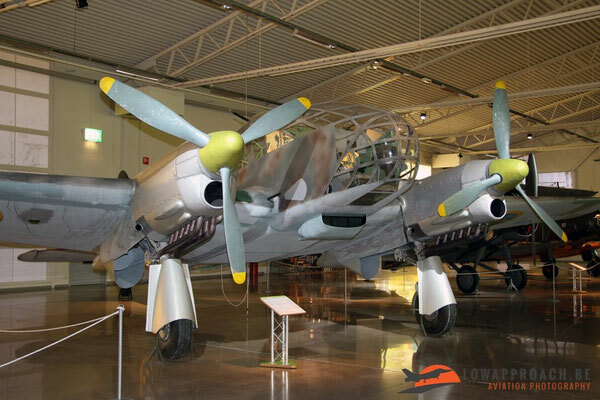 Germany delivered a number of Junkers Ju86K medium bombers and two types of training aircraft, the Focke-Wulf Fw44J Stieglitz and Raab-Katzenstein Rk26 Tigerschwalbe. Additional training aircraft were acquired from the United Kingdom in the form of De Havilland DH60T Moth, some of which were equipped with floats, also a number of fighters were bought in the UK but I will get into these in the next chapter. 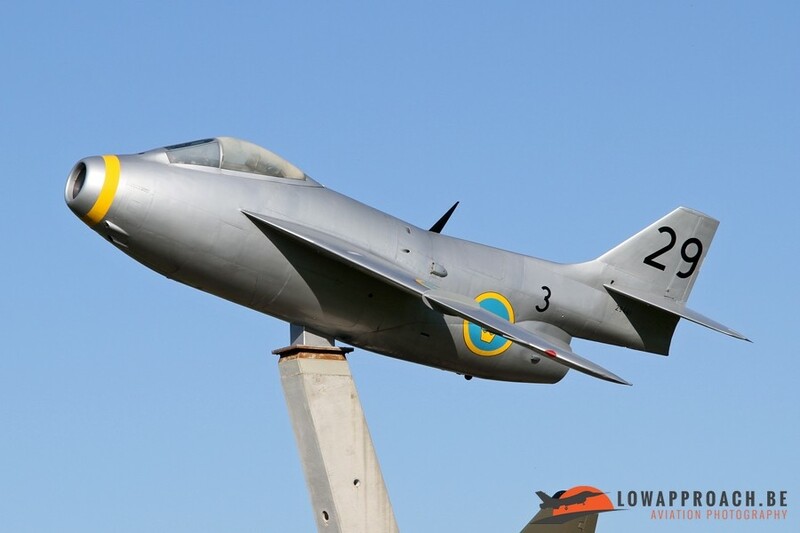 A relatively new supplier to Sweden were the United States where a number of Seversky-Republic EP Model 106 were purchased, in a move to modernize the Air Force prior to the outbreak of the Second World War. 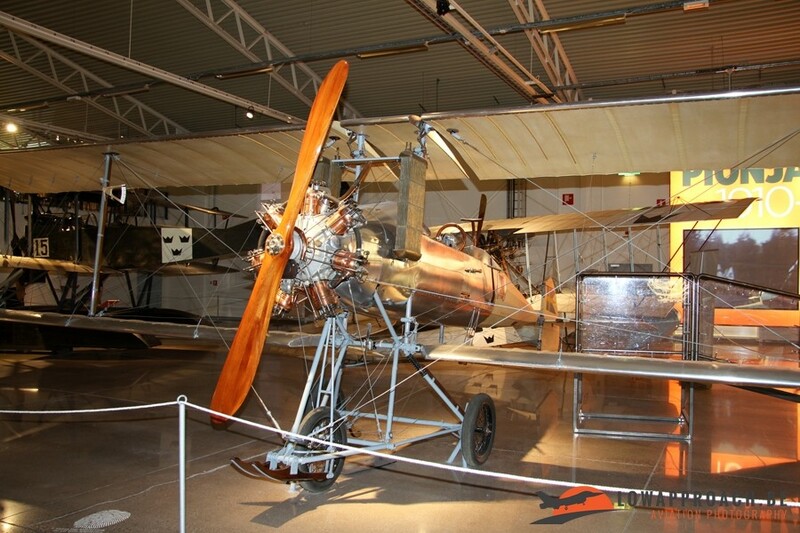 original Caproni was preserved, the aircraft in the museum is a replica build for a television serie. 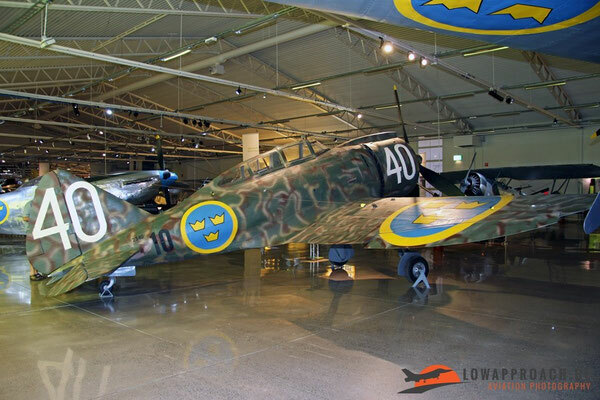 Just prior to the start of the Second World War Italy was one of the few countries that still could deliver aircraft to Sweden, so the last type that joined the Air Force was the Reggione Re2000 Falco 1. 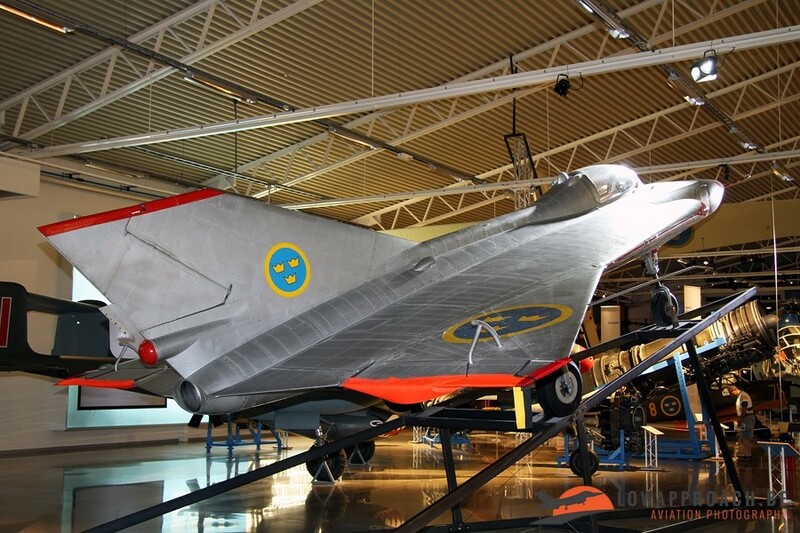 Also the Swedish aviation industry joined in the pre-war effort and supplied 198 FFVS J-22 fighters. 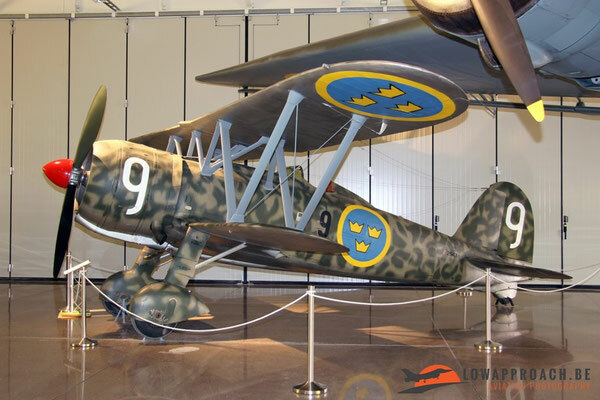 A little known fact is that the neutral Sweden, actually got involved in an armed conflict in 1939. 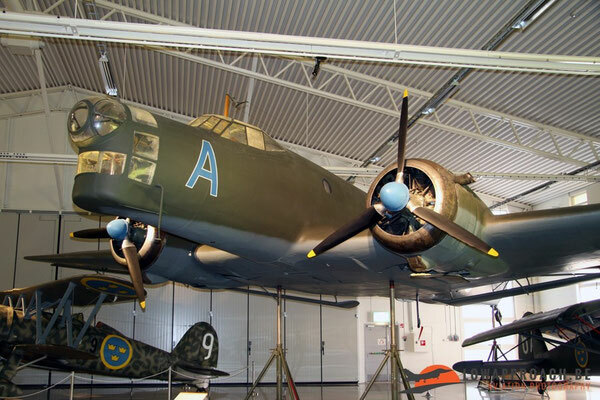 In November 1939 Russia, two months after the start of the Second World War, launched an attack against Finland in attempt to reclaim some territory. Sweden came to help their Finnish neighbors, who were greatly outnumbered. 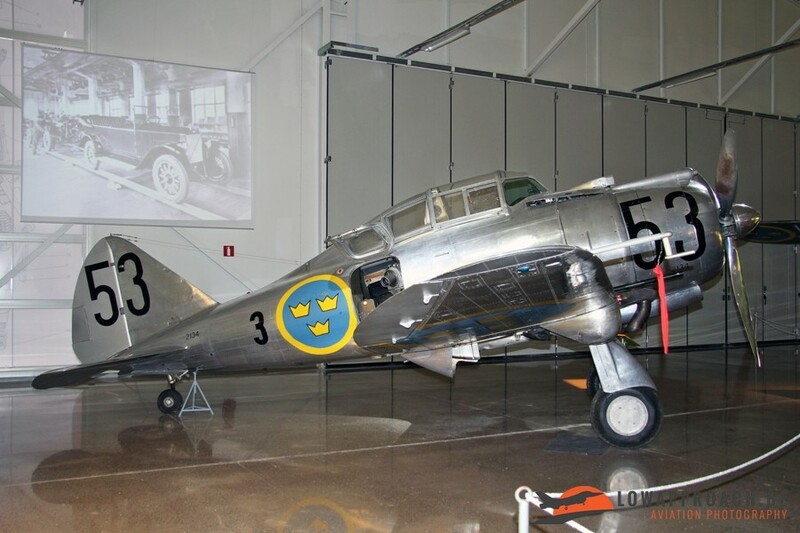 A Swedish voluntary flying unit, known as F19, was formed to help fighting the Russians. The unit was equipped with Hawk Hart aircraft for reconnaissance and Gloster Gladiator Mk.II fighters ordered in the United Kingdom. 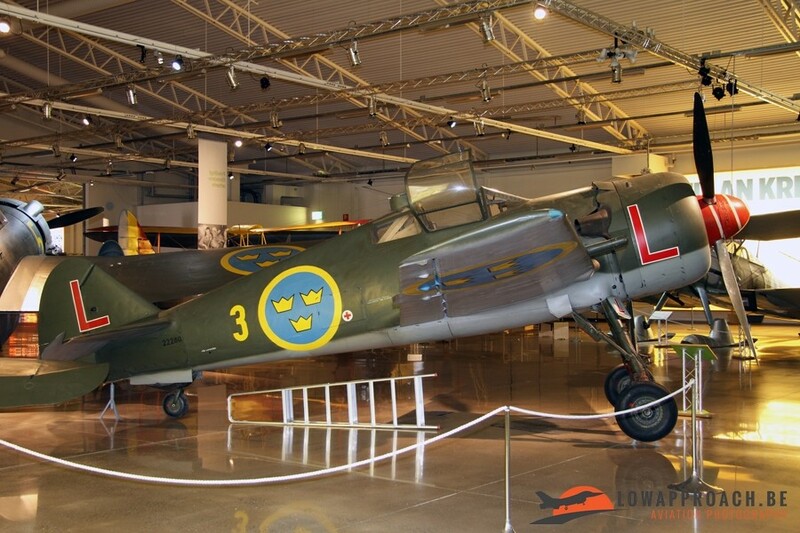 During this campaign these aircraft wore Finnish markings, which both aircraft in the museum still wear. During the conflict a number of fundraising collections were made in Sweden for the benefit of Finland. The intention was to purchase 12 Fiat CR.42 in Italy and donate them to Finland, however the war ended before the aircraft were delivered. Finland received the money and the aircraft remained in Sweden for use by the Flygvapnet and an additional 60 Fiat were ordered afterwards. 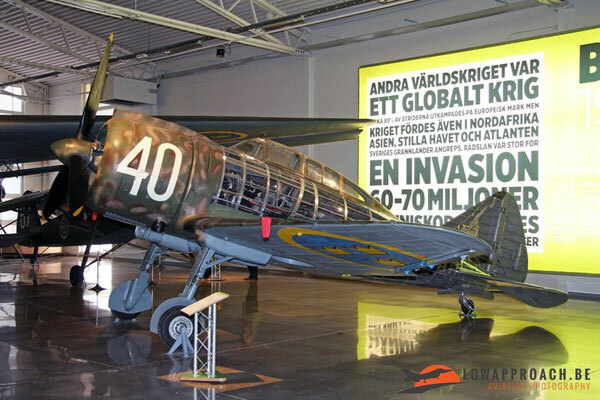 During the remainder of the Second World War Sweden made sure its defenses remained adequate and developed a number of new aircraft. 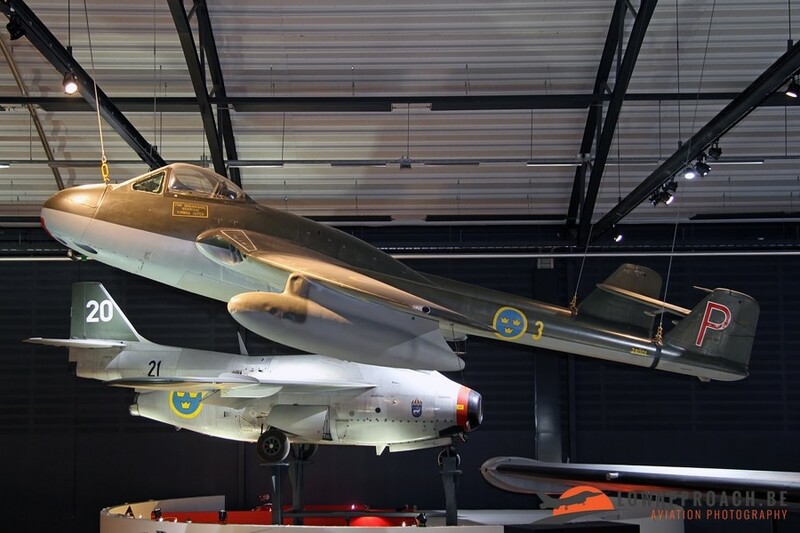 Svenska Aeroplan AB, better known as Saab, developed two aircraft for the bomber/reconnaissance role, the single-engine Saab S17, followed by the twin-engine Saab B18. 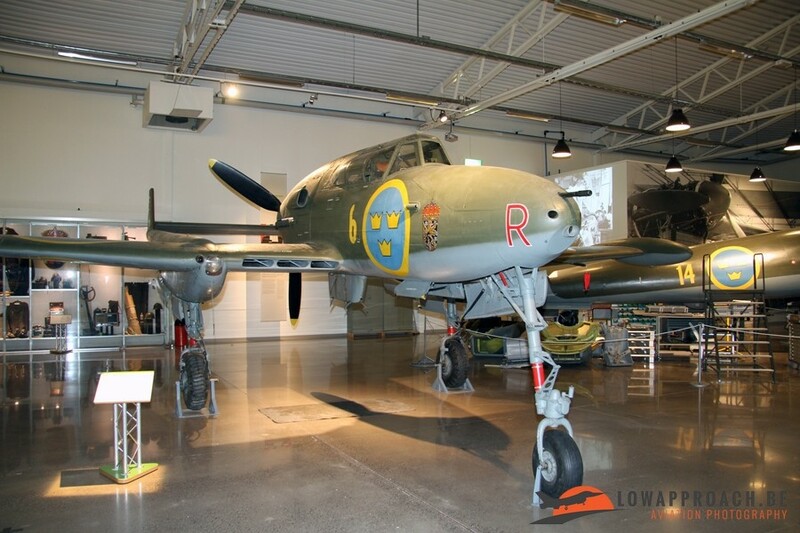 In this period also a new fighter was developed, the Saab J21A. 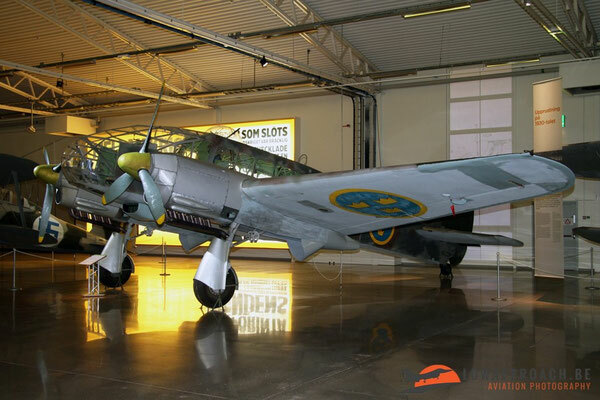 This twin-boom aircraft was equipped with a license-build Daimler-Benz DB605B piston engine (better known from its use in the Messerschmitt Bf109) powering a pusher-type propeller located at the rear of the cockpit. 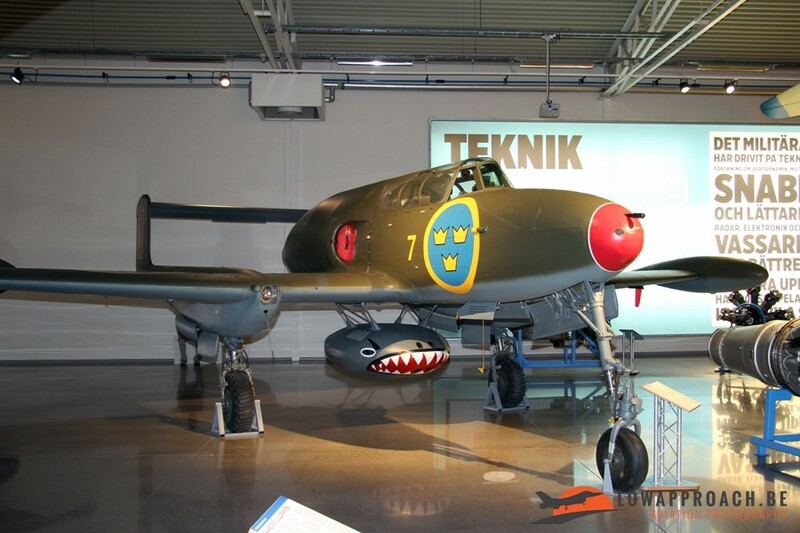 At the end of the war, Sweden also wanted to gain experience with jet engines, and acquired a Goblin 2 engine from the United Kingdom, together with the license to produce it in Sweden. 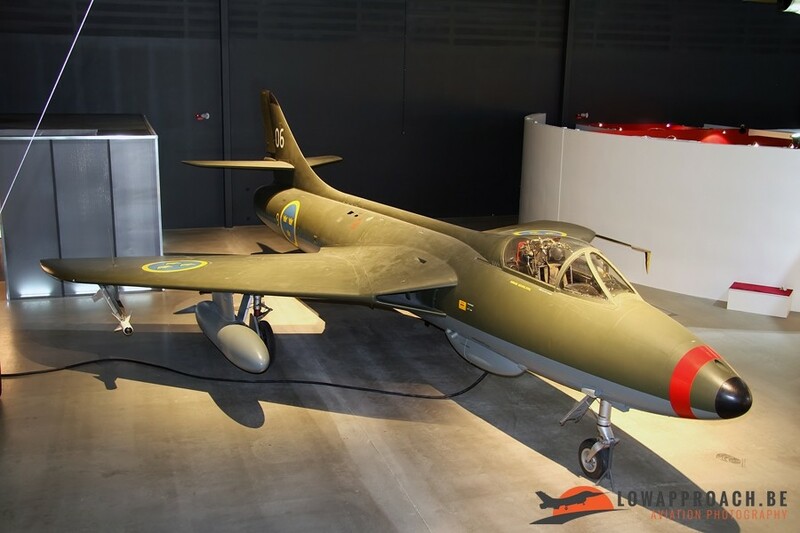 This led to the development of the Saab J21R, where the piston-engine was replaced by the new jet engine. 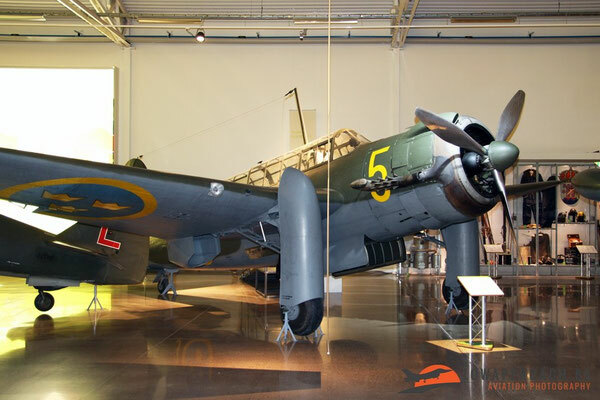 The location of the engine on both versions prevented the pilot to bail-out from the aircraft in the traditional way. The solution was a pilot seat that could be propelled upwards with the help of an explosive charge, thus making the Saab J21 one of the first aircraft equipped with an ejection seat. Towards the end of the war it became possible for Sweden to buy surplus aircraft from the United States and the United Kingdom. A number of North American P51D Mustangs and Vickers-Supermarine Spitfire PR.XIX were delivered. After the war also the first jets were acquired in order to modernize the air force as quickly as possible. The United Kingdom supplied the De Havilland Vampire, De Havilland Venom and in later years the Hawker Hunter. 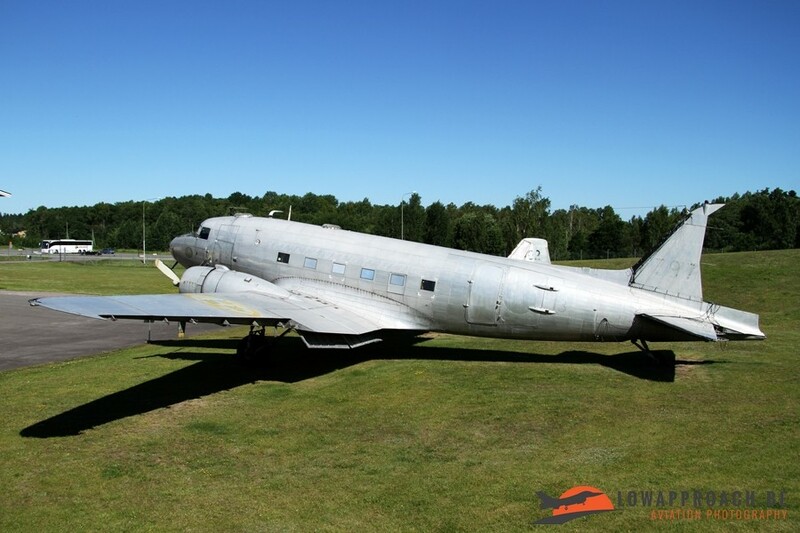 This was no luxury as Sweden was heavily affected by the Cold War, Russia was not so far away ! 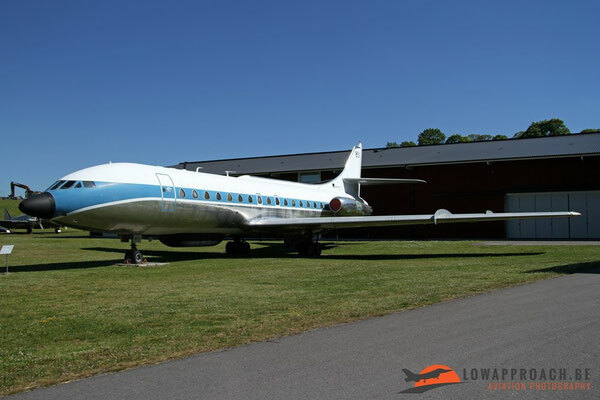 Sweden stayed heavily involved with the collection of intelligence ever since, one of the successors of the Dakota, a specially equipped Sud Aviation Tp85 Caravelle, is now on display outside the main building. 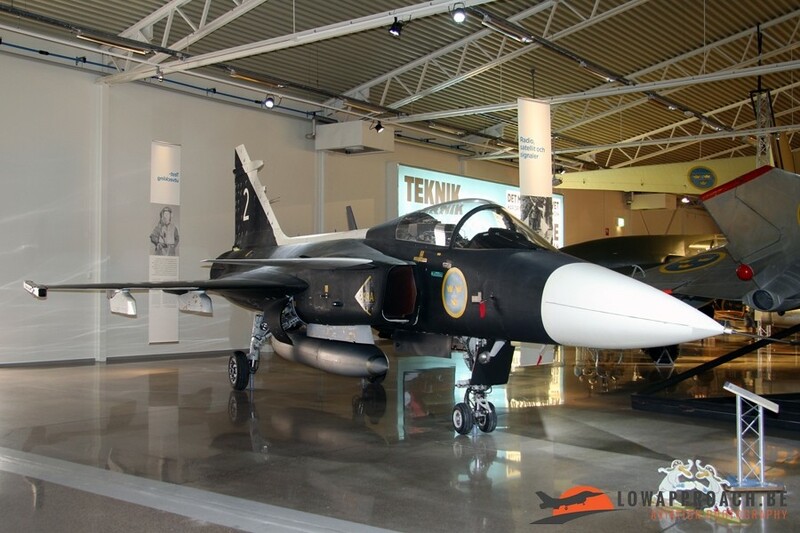 Saab has become a world-leading developer of military aircraft. Examples of its products are off course present in the museum. The full range of fighter aircraft can be seen starting with the Saab S29C Tunnan and the Saab A32A Lansen. For the development of its first delta-winged aircraft a manned scale aircraft was build, the 'Lilldraken' (Little Dragon), which evolved in the full-scale Saab J35 Draken. This aircraft was the first Swedish military jet that also saw service in some other countries, Denmark, Finland and Austria. 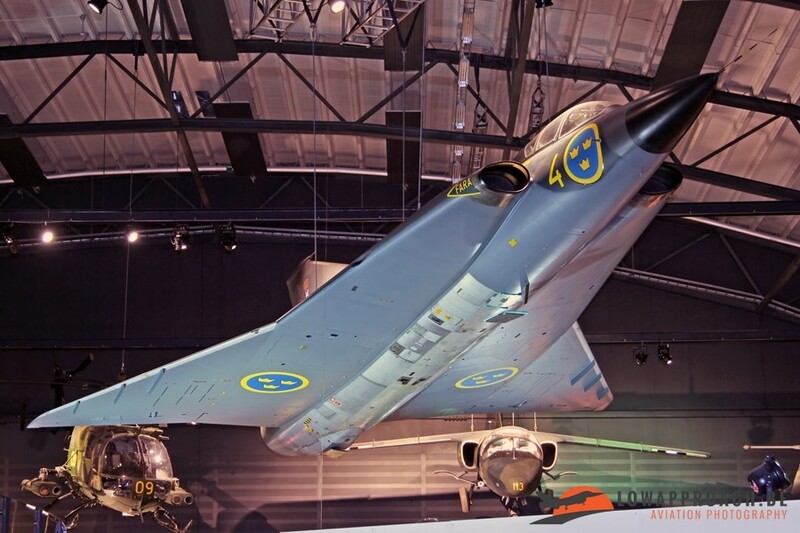 In the Flygvapnet the Draken was succeeded by the Saab AJS37 Viggen. 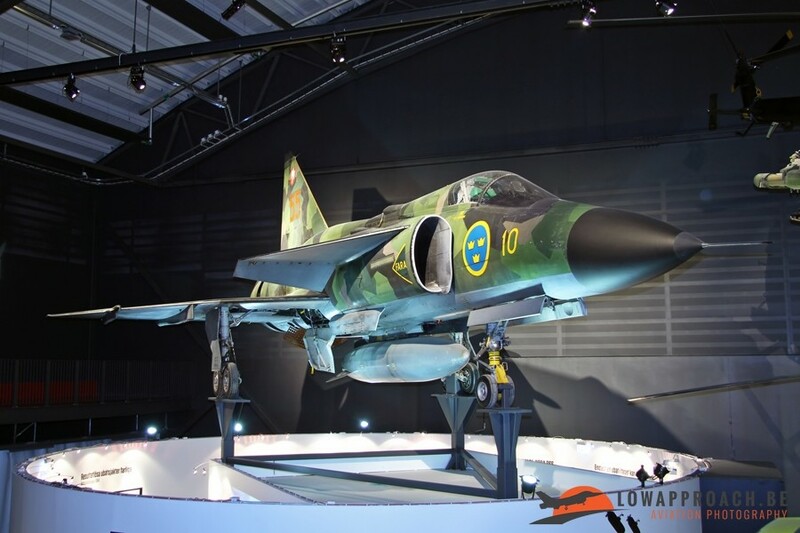 In its turn the Viggen was replaced in Swedish service by the Saab JAS39 Gripen, which is still in production and can be considered a large export success, with examples being delivered to South Africa, Hungary, Czech Republic and Thailand to name few. 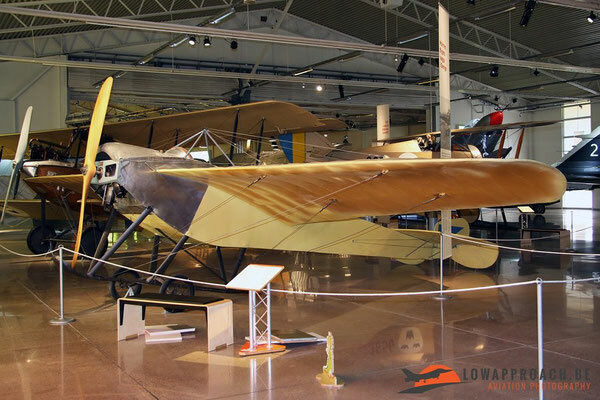 The aircraft on display is the second prototype. 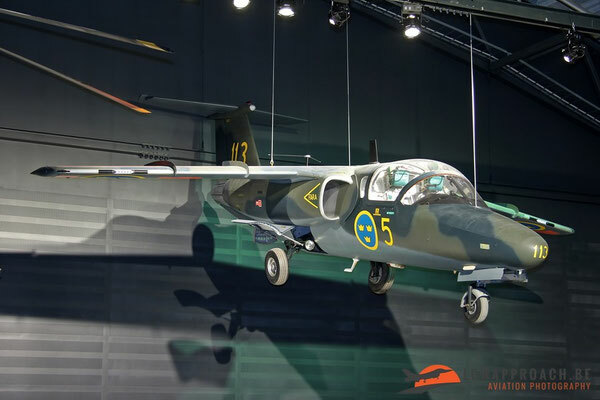 Last but not least is the Saab Sk60A (Saab 105) trainer, which is currently still in service in Sweden and Austria. 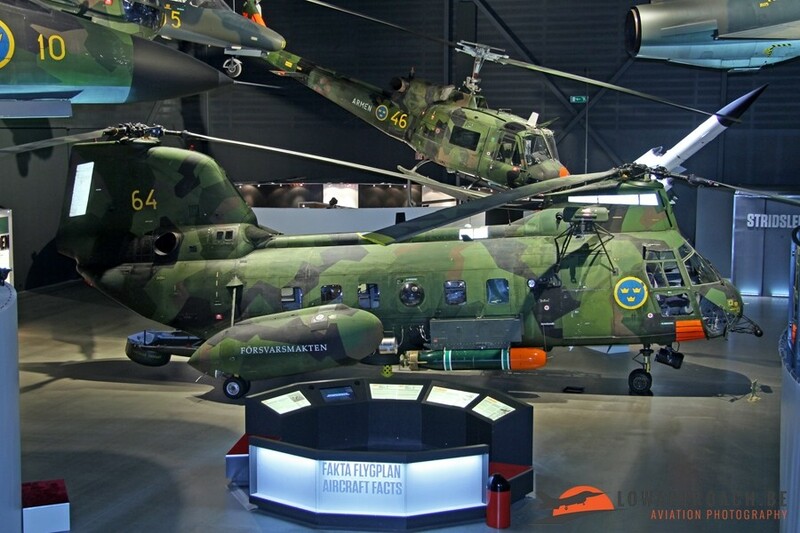 During the last decades the Swedish Armed Forces have been large users of helicopters. These were used in various roles such liaison, anti-submarine warfare and anti-tank missions. 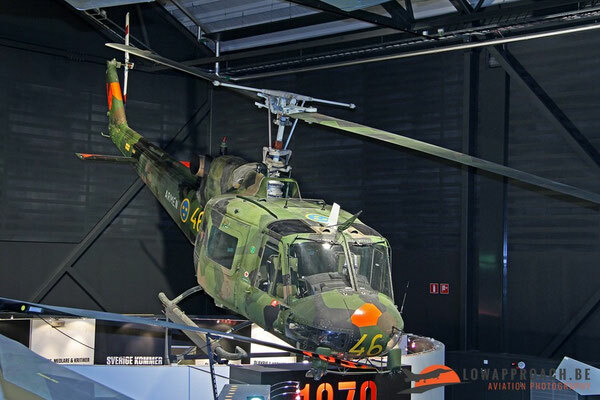 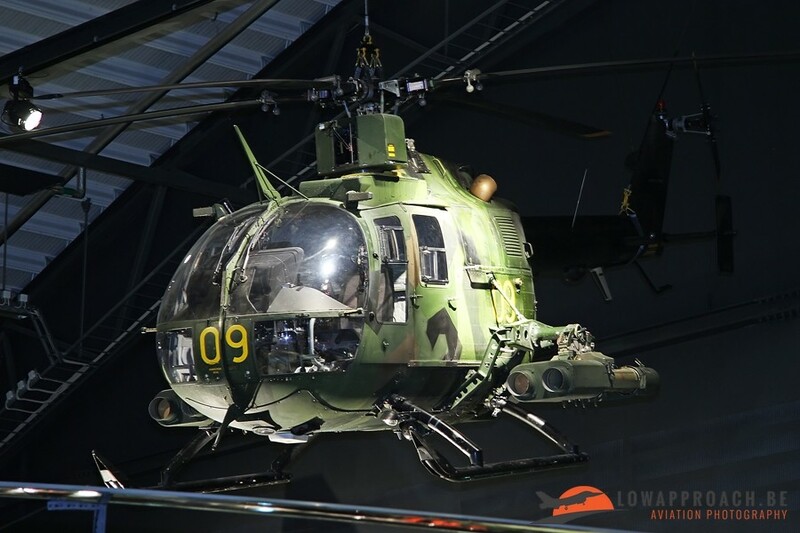 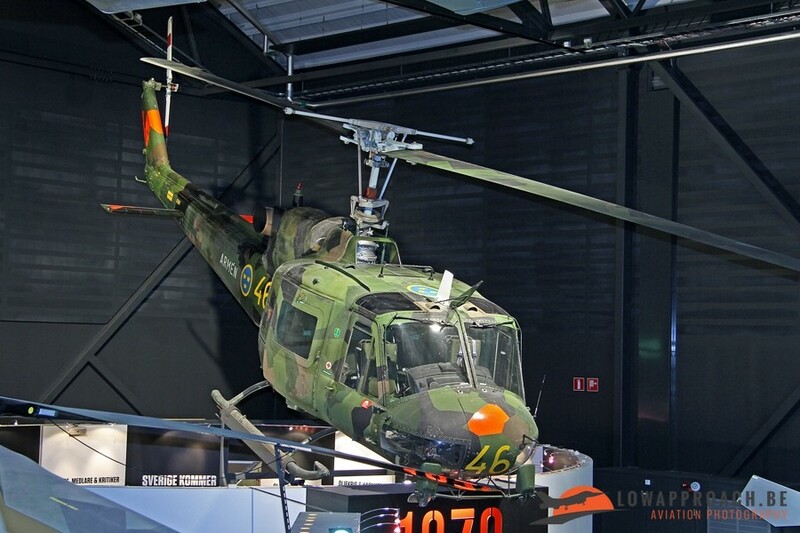 Several interesting types can be found in the museum, like the Sud-Est SE3130 Alouette II, the Agusta-Bell AB204B, Vertol V44A and Messerschmitt-Bolköw-Blohm Bö105CB. 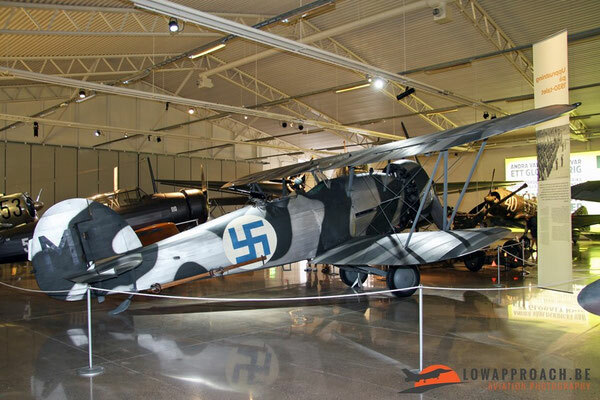 These types also saw in a few other European Air Forces or Navy's. 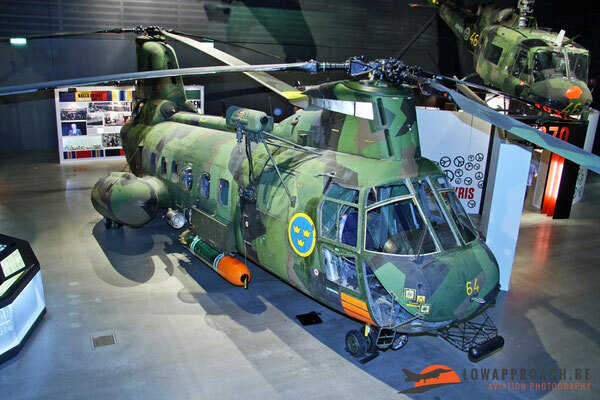 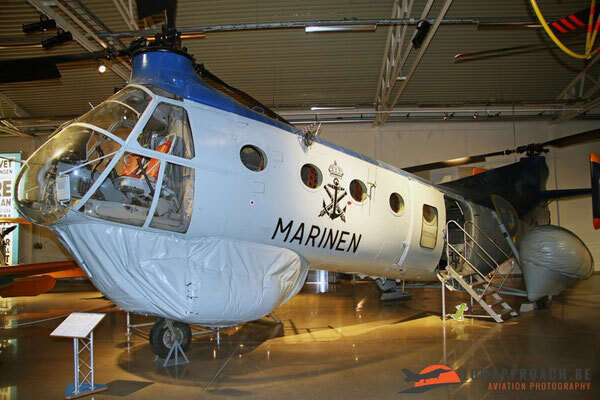 A more unusual type for Europe, Sweden was its only user, is the Boeing-Vertol KV107-II. Both the Swedish Air Force and Navy used the type. The Air Force in the air and sea rescue and the Navy used it primarily for anti-submarine warfare equipped with underwater sonar and depth charges. 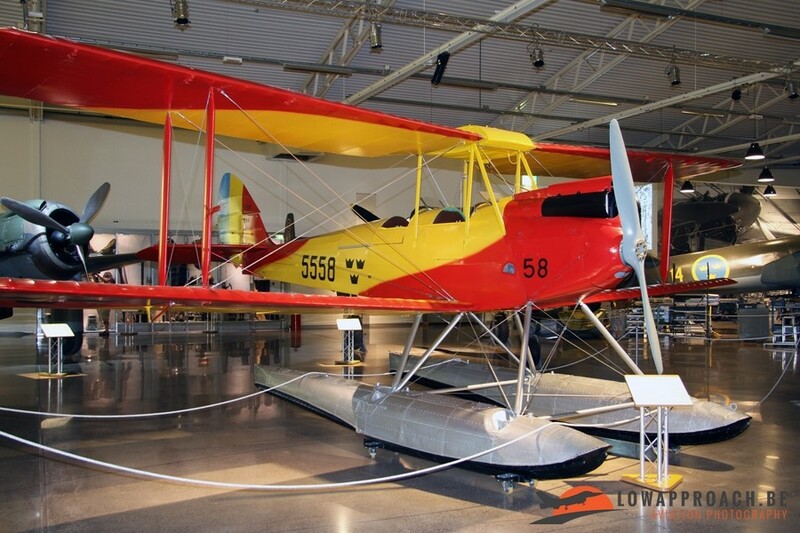 The Flygvapenmuseum is definitely worth a visit when you visit Sweden, it is the largest of its kind in the country. 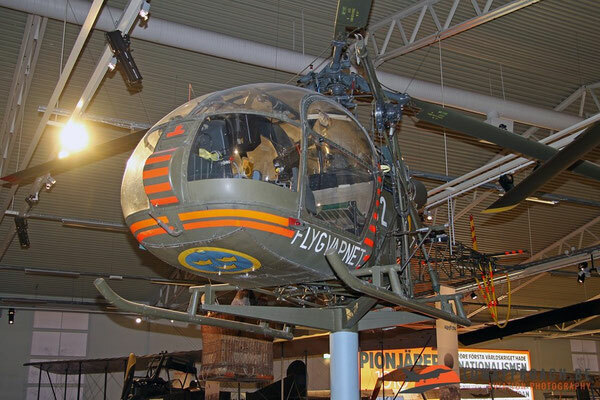 It can be easily reached from Göteborg or Stockholm via the motorway. Photography can however be a bit challenging, as the lighting is rather limited and the orange backlit display panels against the walls are not really helping either. The whole area is bathing in a kind of 'orange' light. So don't forget to take your tripod with you when yout visit the museum and be prepared to spend some time in the post-processing of your pictures !